The roots of the Department of Astronomy & Astrophysics (DAA) stretch back to Canada’s Confederation, and beyond. Then, astronomy was an important tool for timekeeping and surveying, as Canada expanded from coast to coast. As Toronto grew, interested people came together to discuss the latest advances in astronomy, through the Mechanics Institute (1830), the Royal Canadian Institute (1849) and especially the Toronto Astronomical Club (1868), which evolved into today’s Royal Astronomical Society of Canada. The University of Toronto received its charter in 1827, but did not open until 1853. It provided the “incubator” in which modern astronomy grew, in Toronto. An important and symbolic development was the establishment, in that same year, of the Toronto Magnetic and Meteorological Observatory. 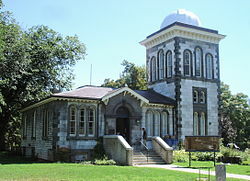 The Toronto Magnetic and Meteorological Observatory was built in 1853, on a site on the present campus of the University, to replace a small observatory built and operated by the British Admiralty. It served as a national centre for meteorology and timekeeping, and as evidence of the young country’s interest in and respect for science and technology. When the University expanded around 1900, the observatory was to be torn down but, at the suggestion of surveying instructor Louis Stewart, it was dismantled and moved to a nearby site south of Hart House, where it is now called the Stewart Observatory. It houses the University of Toronto Student Union, and is one of Canada’s oldest and most important existing scientific buildings. 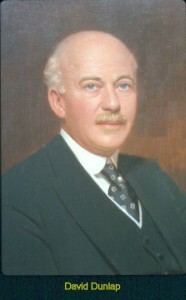 Clarence Augustus Chant (1865-1956) received his BA in Physics from the University of Toronto in 1890 and, in 1892, returned to that Department as a faculty member. Over the next decades, he created modern astronomy courses, an astronomy program, and a Department of Astronomy which, after various name changes, became the DAA. MA and PhD courses and programs were later added, and their graduates have gone on to positions across Canada and around the world. At the same time, Chant was an enthusiastic and very effective communicator of astronomy to students, teachers, and the public, through lectures, articles, and a best-selling book Our Wonderful Universe. He was also the guiding light for the Royal Astronomical Society of Canada for half a century. One of his public lectures gave rise, ultimately, to the David Dunlap Observatory (DDO). On May 31, 1935, the day of the opening of the DDO, and the day of Chant’s retirement, the University of Toronto awarded him an honorary doctorate. David Dunlap (1863-1924) was a lawyer who became wealthy as a result of mining ventures in Northern Ontario. 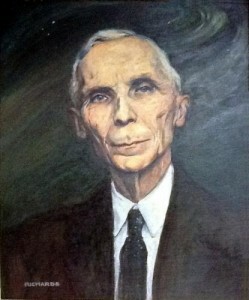 In 1921, he attended one of Chant’s public lectures, and became interested in astronomy, and in Chant’s proposal that Toronto should have a major astronomical observatory. 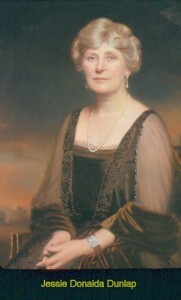 Unfortunately he died in 1924, but his widow Jessie Donalda Dunlap (1867-1946) continued to support, both financially and personally, their various philanthropic and social-welfare projects. In 1926, Chant approached her, and she enthusiastically agreed to donate funds to the University for an observatory in David’s memory. When the David Dunlap Observatory opened on May 31, 1935, it housed the second-largest telescope in the world. On that day, the University awarded her an honorary doctorate. 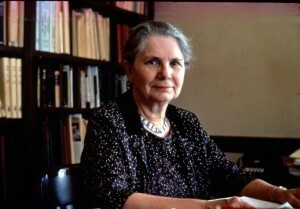 Helen Sawyer Hogg (1905-1993) and her husband Frank Hogg had been fellow graduate students at Harvard. They joined the staff of the Department of Astronomy, University of Toronto, in 1935. After Frank’s untimely death in 1951, Helen continued her research and teaching as a single mother. She became an international authority on the study of star clusters, and variable stars, and a leader in numerous professional organizations. She was a pioneer woman in science in Canada, and a role model for many. For over 30 years, she also wrote a weekly astronomy column in the Toronto Star, becoming Canada’s best known astronomer. Her work led to enormous public interest and appreciation for astronomy, and for the work of the DAA. Her awards were many, including appointment in 1976 as a Companion of the Order of Canada — the highest rank. In the years since World War II, astronomy at the University of Toronto has expanded, to three campuses, serving thousands of students each year. It is a major training ground for graduate students and postdoctoral researchers in astronomy and astrophysics. DAA research now uses telescopes around the world, from pole to pole, on the ground and in space. It hosts the Canadian Institute for Theoretical Astrophysics, and the Dunlap Institute for Astronomy and Astrophysics. Its commitment to education and public outreach has continued and expanded, following in the footsteps of Chant and Sawyer Hogg.